Window glass is designed to be used where the utmost in realism is desired in buildings, cars, locomotives, trucks, ships, and military models. It gives the proper light reflection and does not warp like thin plastic. However, it is recommended for the advanced modeler. Each glass pane measuring 2.3" x 0.9" x 0.006" can readily be cut with our scriber, following the instructions included with each package. In places where larger panes of "glass" are needed, we recommend using ultra clear polycarbonate (Lexan) sheets, found in the sheet plastic section of our store. 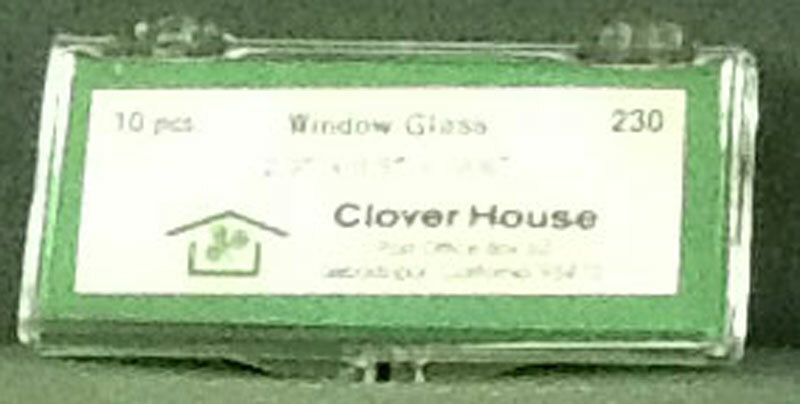 It is thicker than the glass, but is less expensive and easier to handle for large panes, and will not warp.